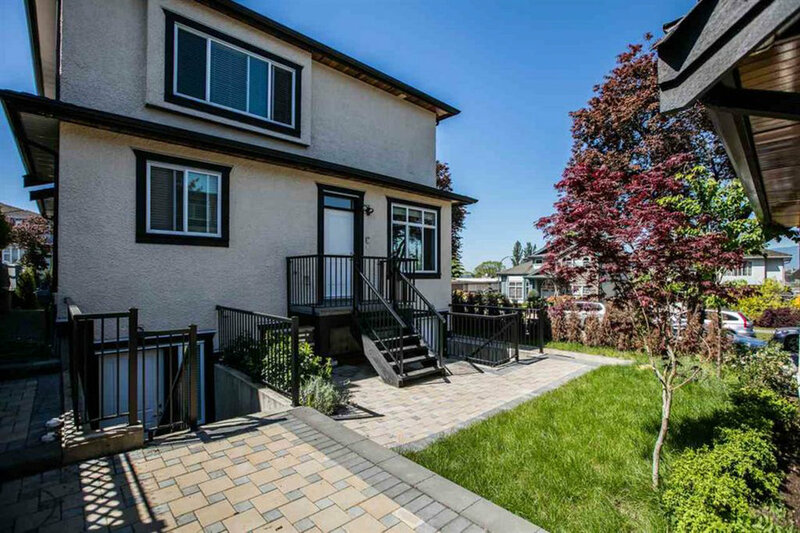 Top quality, 2,933 square foot house that includes two storeys, 6 bedrooms, 3 kitchens, granite counter tops, maple wood cabinets, wood floorings, HRV & alarm system, double garage. wood floorings, HRV & alarm system, double garage. Quality custom designed dream home with panoramic southern view. The house was build with two separate suites in the basement. 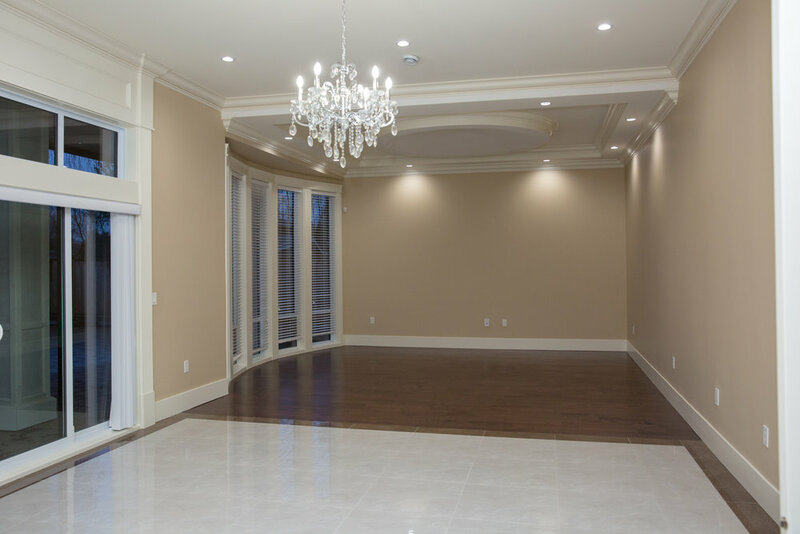 The house offers 4,736 square foot gorgeous living space, elegant design and luxury throughout. 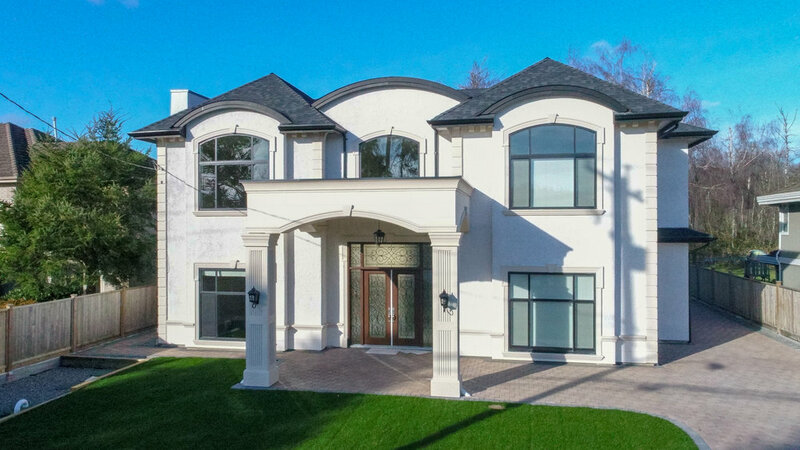 It was build on an 8,778 square foot lot, with elegant exterior and gorgeous interior located in the prestigious South Burnaby area. The house is on the high side of the road facing South with panoramic ocean and mountain view and features radiant floor heating, marble backsplash, luxury European porcelain tiles, stone fireplaces, crystal chandeliers & high-end Miele appliances throughout the kitchen. 4,187 square foot house on a 7,000 square foot corner lot. 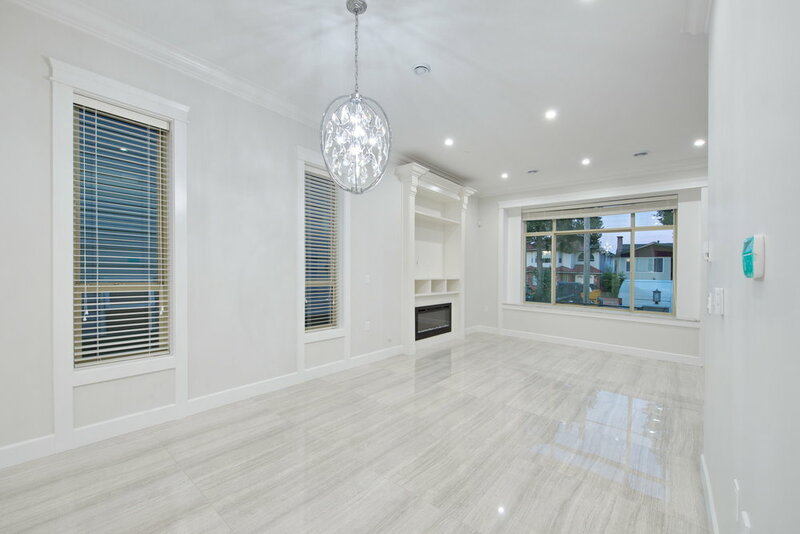 Build was done with with superior materials: granite on main floor, engineering hardwood floor upstairs, quartz kitchen countertop, one piece granite all bay windows, large windows through out, stone paving on driveways. Wok kitchen, built-in sound system whole house with separate controls in each room. Central A/C, HVAC, home theatre/entertainment room, 3 large patios/decks with views. 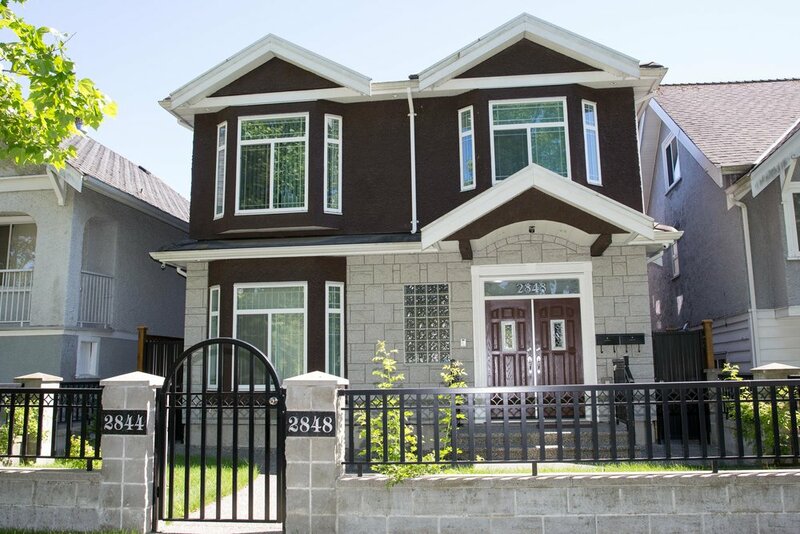 Highly desirable Renfrew Heights neighbourhood. This beautiful custom build features three levels, 8 bedrooms and 6 bathrooms, and sits on a large, bright corner lot with breathtaking mountain views. The home offered spacious open floor design that boosts 4 bedrooms with 3 bath on the upper floor, high ceiling and 1 bed+den and 1 bath on the main and 3 bedrooms with 2 baths in the basement, plus 1.5 level laneway house with 2 bedrooms and 2 baths. alarms, high def cameras and more. A top quality two level home. The lot was 33 x 138 with a 2,310 square foot home built on it. Big back deck w/fabulous mountain view. 3 bdrms up and 4 bdrms down. 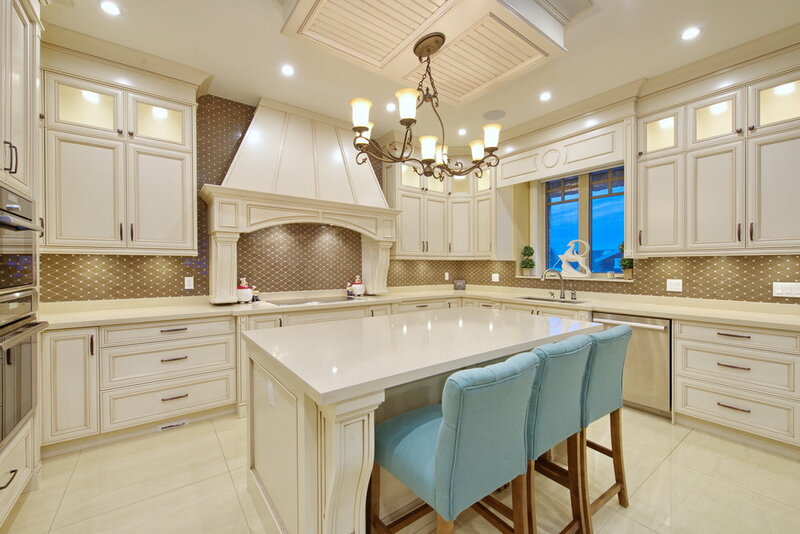 3 kitchens, 4 baths. 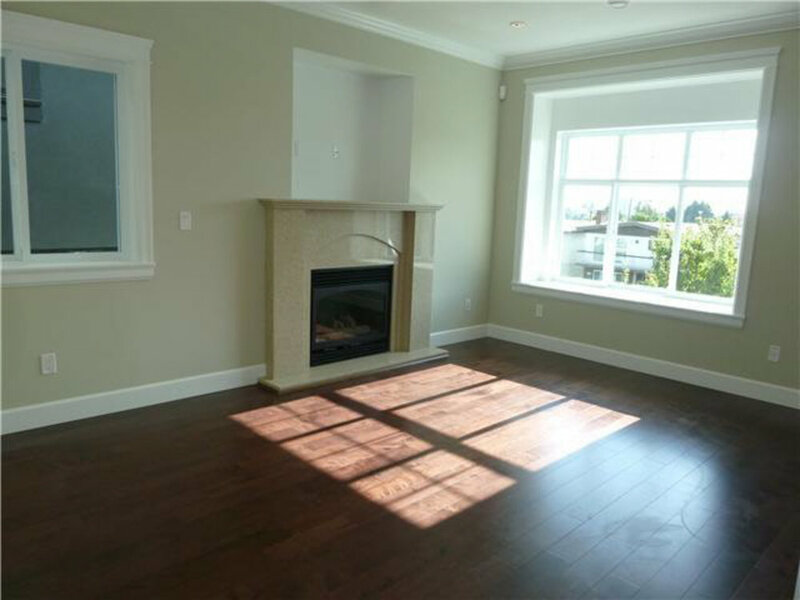 Walking distance to Joyce Skytrain Station, shopping & school. Top quality built 2 storey 2306 square feet plus 571 square feet Laneway House conveniently located on prime area of Collingwood. The modern design, southern facing residence to enjoy lots of view is built on an ideal lot size, 33' x 138'5. his fabulous residential home featuring with 4 bedrooms, 2 full bathrooms, 4 bedrooms (1 of the 2 suites is a legal suite) and 2 bathrooms at main floor. 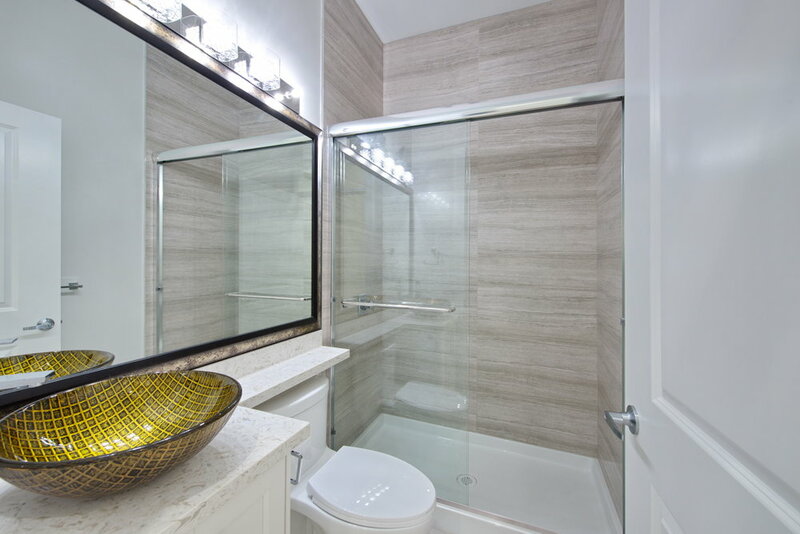 Crown mouldings, granite countertops, maple wood cabinets, HRV & alarm system, security camera. In addition, the laneway house includes 2 bedrooms, kitchen and bathroom for extra income. 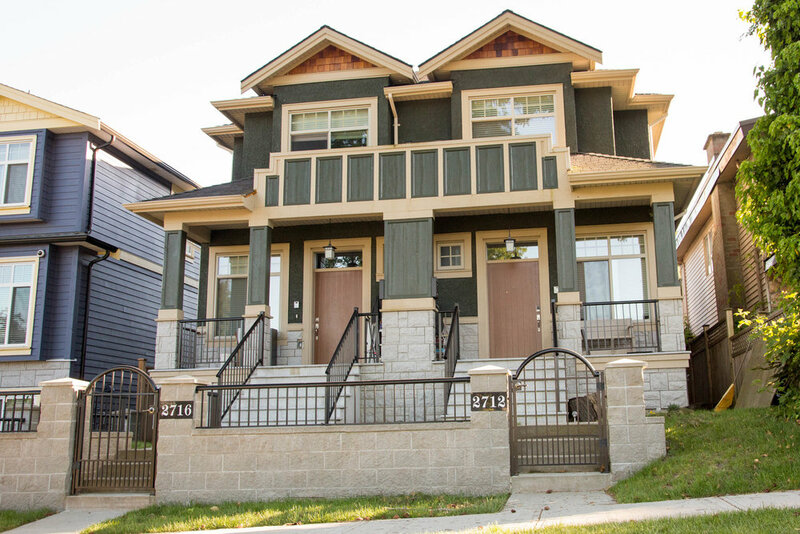 2015 home built in beautiful & scenic Renfrew Heights area. A well designed plan that used space very effectively. 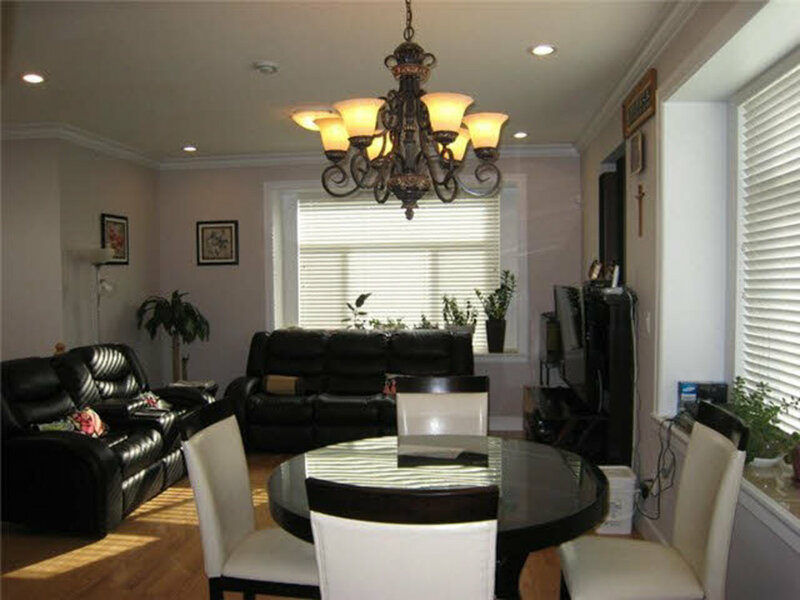 Nearby public transit (skytrain, bus), shopping malls, elementary/high school & community centre. An amazing view from master bedroom balcony! View of downtown, North Vancouver, Grouse/Cypress mountain, Burnaby! It included a 525 square foot Laneway House. 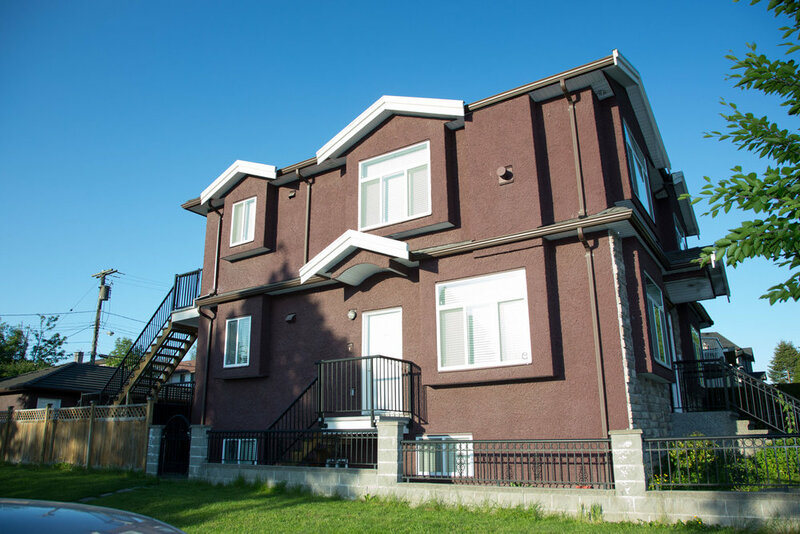 Two storey plus a laneway house located on a desirable area of prime Killarney area. A couple minute walk to school, shopping, public transit, banking. This quality built residential home is situated on a big lot 34.23 x 138.2. 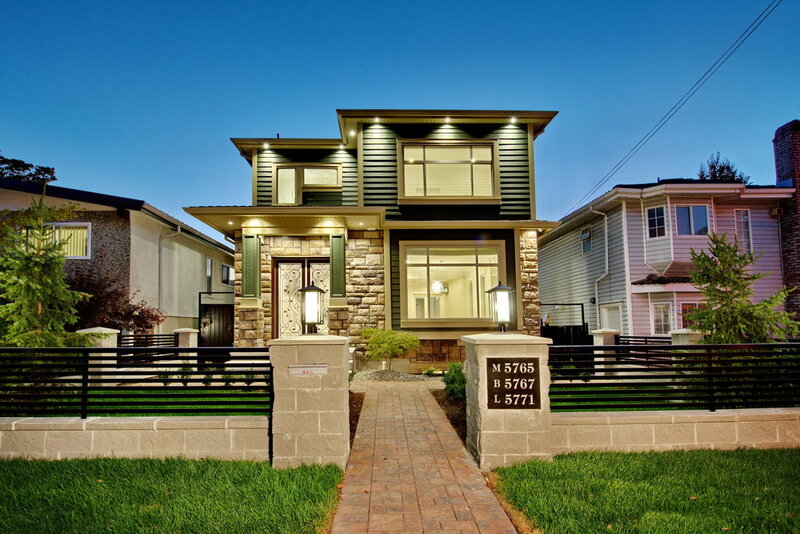 2350 square feet house plus 600 sf laneway house. Main house featuring 3 bedrooms, 2 full bathrooms up, 2 suites (1+2 bedrooms), 2.5 bathrooms at main floor. Duroid shingle roof for 50 years warranty, granite counters, engineering hard wood flooring, solid wood cabinets, alarm and HRV systems, high efficient heating system. Laneway House featuring 2 bedrooms and 2 full bathrooms. 3 levels with a 3 bdrm suite potential on each level. Each floor is self-contained and comes complete with kitchen, living room, 3 bdrms, 2 bathrooms, and in-suite laundry. A top quality built house approx. 3,390 square feet just finished on a big lot 43 ft x 112.58 ft in Renfrew area. 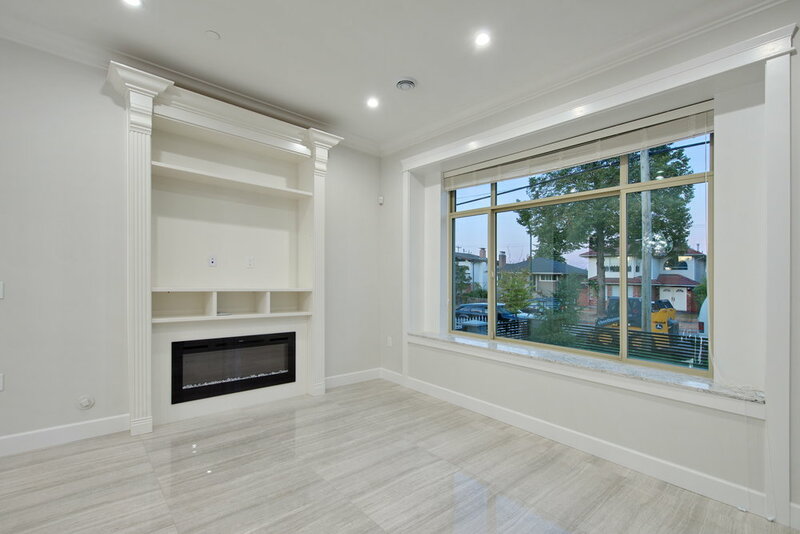 Lots of crown mouldings, granite counters, lightings, 3 bedrooms at above floor and 3 bedrooms at main floor (2 suites), 3 kitchens, 6.5 bathrooms, engineering hardwood flooring, maple cabinets, HRV & alarm system, fencing, beautiful landscaping, triple garage. One legal 2 bedroom suite on basement.